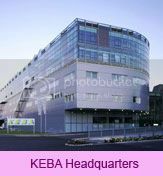 Austrian automation firm Keba Group has set up a branch office in South Korea to tap into the market. Gerhard Luftensteiner, Keba CEO, explains the decision, "The South Korean economy is based on technological products and the automotive industry. This means that the country is home to a number of potential customers for Keba." In fact, the firm has already secured clients in both the robotics and mechanical engineering sectors. 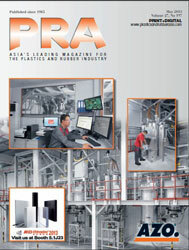 The current focus of the company in South Korea is clearly on the industrial automation area. In other news, the firm generated sales revenues of EUR150 million, an increase of 16% over the EUR129.7 million last year, said Luftensteiner at a press conference held in Linz recently. "This increase in sales revenues can be traced to an excellent positioning in the Industrial Automation Business Area and market share gains in Banking Automation." At the beginning of the year, Keba took over a majority holding in the Dutch company Delem, which specialises in the automation of sheet metal machinery. With this acquisition, Keba has clearly consolidated its competence and position in the automation area and tapped into the sheet metal segment, which is new to the company. During the past year, the sales of the CBPM-KEBA joint venture in China also rose to EUR38.5 million. The focus of this joint venture is on banking automation. CBPM-KEBA in China has a workforce of around 440. In the Industrial Automation Business Area, important OEMs in the mechanical engineering and robotics fields were obtained as customers, says the firm, especially in robotic applications or complex control algorithms in the mechanical engineering sector. The Banking Automation Business Area was able to raise its market shares considerably in Germany and Austria with Keba ATMs. The export quota amounted to roughly 80% with 64% of exports going to the EU (excluding Austria) and 16 % to the rest of the world. Investments in research and development rose from EUR21.5 million to EUR24.3 million. During the last financial year, continuous growth and positive order backlog necessitated production floor space enlargement. An ideal object was found in Linz in the shape of the former premises of the Quelle company. These were then brought up to the structural and technical standard required for a modern production facility with an investment volume of around EUR 0.5 million, including own work, in the record time of just three months. At the beginning of 2013, KEBA's complete automated machinery production was transferred from its headquarters in the "Gewerbepark" to the "Industriezeile". Automat manufacture is particularly space-intensive and in order to achieve an optimum assembly flow, it is also important that production be carried out on one level. Plant 2 offers Keba roughly 5,000 sq m for the manufacture of banking machines, e-vehicle charging stations and parcel automats. At present, sixty employees work at the "Industriezeile" and in a final move, KePol (automated parcel machines) production is also being transferred to Plant 2 in its entirety. This means that the available floor space is now being used to optimum effect. According to Luftensteiner, "The probity of our decision to considerably increase our production floor space with a second plant in Linz is already evident and we are thus well equipped for growth." Electronics production, which consists of control and visualization systems and handheld terminals, is now concentrated in the 10,000 sq m of manufacturing space at the Keba headquarters in the "Gewerbepark". Keba has a global workforce of 810 (as at March 31, 2013 / excluding Delem). The company has branches in Germany, Romania, Turkey, Italy, the Czech Republic, US, Taiwan, Japan and China, as well as in the Netherlands and South Korea, which were added during this year.